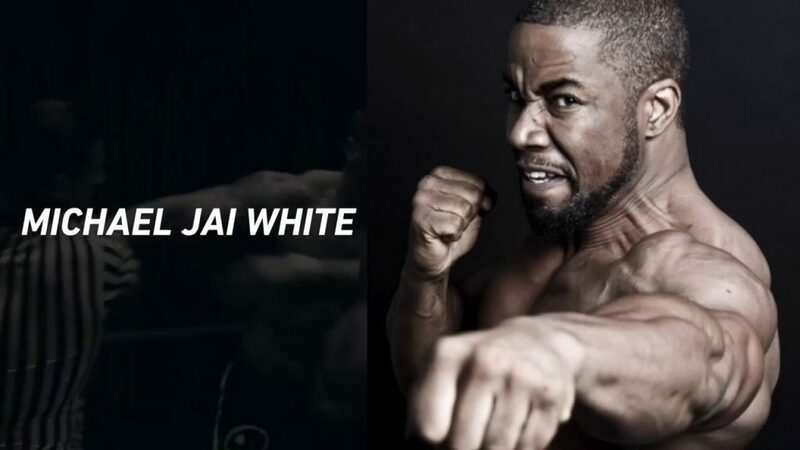 If you’ve ever wanted to be as ripped as Spawn, Jax in Mortal Combat, Bronze Tiger in Arrow, or many other superheroes of the time, you want to follow the workout of Michael Jai White. He’s been in plenty of movies where he looked ripped and amazing, and now he has shared some of his tricks and tips. Of course, he focuses on action movies and utilizes Martial Arts in many of them, so much of his workout routine uses a variety of Martial Arts to keep him looking tough and fit. However, he also focuses on strength moves and other cardio to keep his heart pumping and keep him in shape. That way, when he’s called up for the next action-packed movie, he’s sure to be the shining star. It can help to learn a bit about his body type. 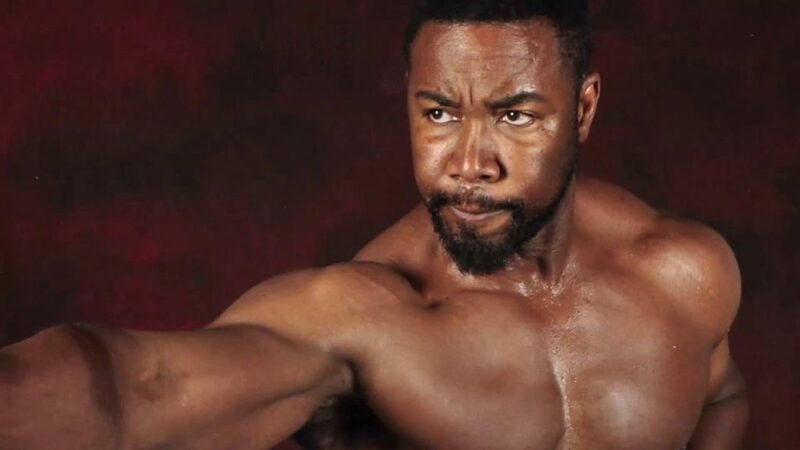 Michael Jai White is currently 50 years old, but he sure doesn’t look his age. He’s also 6’1” tall and weighs about 220 pounds, give or take. Even if you’re not as tall as him or weigh more/less, you can still utilize his workout plan to get in shape. You may have to tweak it a bit to get the overall physique of White, especially if you are a different height, but you’re sure to love your six-pack abs and lean musculature. The biggest issue Michael claims people have is that they don’t work the back nearly enough. Most of his exercises focus on the back or utilize it to work other muscle groups. That way, he has less back pain. Along with such, he’s got excellent posture because he doesn’t do as many exercises where the shoulders are pulled forward. He also says he prefers to work the chest and triceps because he’s chest-dominate. Therefore, he doesn’t use the flat bench as much, preferring more inclines and shaping moves. He also trains up to six times a week, depending on his needs and the role he’s working toward. He always warms up with a dynamic stretch, jump rope sessions, and 20 push-ups for three full sets on these days. Dumbbell Shoulder Press – Sitting on a military bench with back support, grab the appropriate weight dumbbells, resting the dumbbells upright on the thighs. Raise the dumbbells up to shoulder height with the elbows bent and away from your body in a goalpost position. Make sure that the palms are facing forward; this is the starting position. Raise the dumbbells upward, almost allowing the ends to touch. Keep your back straight and head/spine in alignment, as well as keeping the arms slightly in front of your head. Slowly lower your dumbbells back to the starting position. Repeat four sets with 15, 10, 8, and 5 reps, adding weight each time as appropriate. Dumbbell Flyes – Lying on a flat bench or a slightly inclined one, take dumbbells in each hand and rest them on the thighs, ensuring that your palms face each other. Using the thighs to raise the dumbbells, lift them above the shoulder with the arms extended. This is the starting position. Lower the arms with control, slightly bending the elbows to prevent stress on the body and use a wide arc to lower the arms. You should feel a slight stretch of the chest. Return the arms to the starting position, squeezing the chest muscles. Perform three sets of 12 repetitions each. For the pull-sessions, he tends to do a dynamic stretch, 10 minutes with the jump rope and three sets of 10 push-ups each. Preacher Curls – To do this exercise, you need an E-Z bar and a preacher bench. Grab the bar so that hands are about shoulder-width apart with the palms facing forward and slightly tilted. Place the upper arms against the preacher bad and put your chest against it. Starting position is where the bar is at shoulder height in the curled position. Slowly lower the bar to ensure your upper arms are extended, allowing the biceps a stretch. Then, curl the weight/bar up to contract the biceps, squeezing hard for a moment. Complete four sets using 15, 10, 8, and 5 reps each (adding weight each time). Lat Pulldowns – Using a Lat machine, rack the appropriate weight and grab the handles in a wide grip, palms facing downward. Sit on the provided bench with arms outstretched overhead. Pull the bar down with control, stopping at the collarbone or slightly past it. Raise the bar back upward with control for one rep. Perform three sets of 12 reps each. Before he starts leg-day, he always stretches and does 10 minutes of jumping rope. He also does three sets of 20 air squats to get the legs warm. Glute Pushdowns – Using an assisted pull-up machine, load the machine with the correct weight. Place one foot on the pad and press downward with your foot. Allow it to rise back to the starting position slowly. Perform three sets of 12 reps each. Quad Extensions – Using a leg extension machine, choose the appropriate weight and sit on the bench with the legs underneath the pad while holding the sidebars. Extend your legs outward, keeping the body stationary. With control, lower the weight to the original position. Perform three sets with 12 repetitions each. Because Michael Jai White has been in a variety of action movies throughout his career, he has to eat a particular way to support his body and physique. For one he uses a variety of supplements throughout the day. He believes in creatine supplements to help him gain weight quickly because it allows him to hold water in the muscle tissue, bulking him up for a part or role. While it’s a quick fix, it helps when he’s in a rush. He also focuses on the branched-chain amino acid supplement, usually taking it in water throughout the day. Along with that, he drinks two protein shakes each day. However, he does eat real food, preferring to get most of his vitamins through diet rather than supplements. He eats a lot of lean meat with some red meat added, as well as raw vegetables and fruit.